Headed for a week-long vacation? 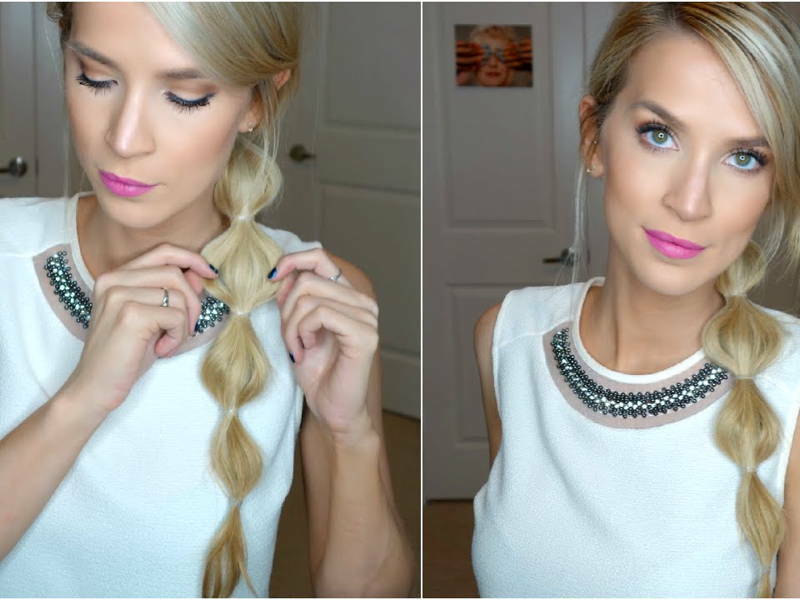 Try out these easy hair looks for good hair all day, every day! You’ve resisted your morning latte for months to save up for this vacation, bought a new camera, and packed your best garbs. So don’t let bad holiday hair ruin your experience (and your pictures!). We compiled 7 easy, beginner-friendly hair looks that you can slay with minimal hair tools! These hair looks were picked according to a 3-day wash cycle – because daily shampooing? ain’t nobody got time for that on a vacation! But seriously, washing your hair too often is bad for your (hair) health. The fact is, freshly washed hair and 2- or 3-day old hairs act differently – read about them here. Freshly washed hair is your frenemy – you love how it’s cleaner and softer, but hate how it’s drier and frizzier. 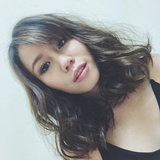 Loose curls are great because they leave your hair down for comfortable plane and car naps; and unlike sleek straight hair, they’re meant to be ruffled around a little, which is great for travelling! They also make a good hair base for the following 2 days. Use a ¾-inch to 1 ½-inch curling iron or wand to curl your hair. To get the look pictured here, curl the hairs around your face towards your face, but curl your fringe away from your face. Take different sized sections each time to create a loose, natural look. You can even alternate the direction of your curls as you’re going for an easy, messy look. Spritz medium-hold hair spray to hold the style. Day 2 hair is the best, it’s a little tamer as your scalp has had time to release natural oils, yet isn’t greasy. A half-up braided crown is perfect for 2nd day hair as it leaves your loosened curls (which look even more “natural” today) down for Snapchat to admire. Meanwhile, you’re also keeping the hair around your face away from your face as it might get greasy by day’s end and potentially clog the pores near your hairline. Grab about a 2-inch section on either side of your head above your ears and braid them backwards so that they meet in the middle. If your hair is long and the braid makes it all the way to the other side of your head, overlap the braids to create twin braids. Otherwise, use a hair band or bobbi pins to pin them down in the centre. 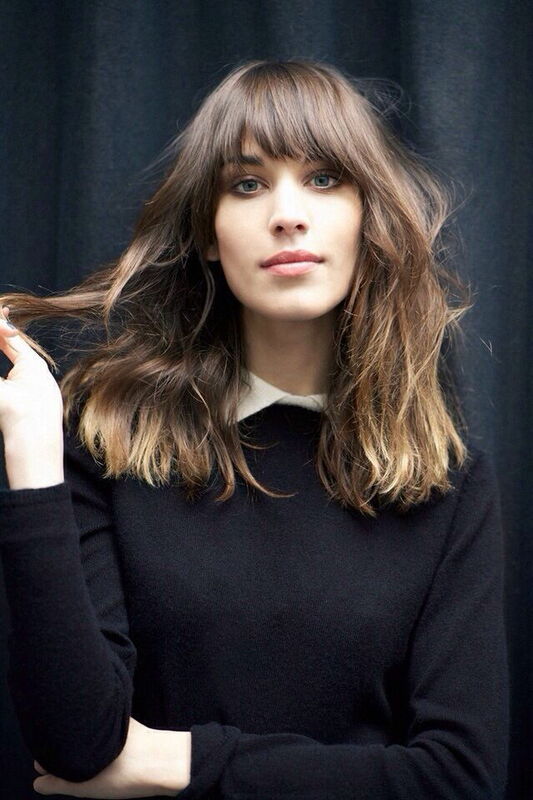 You can leave your fringe and some hair from the sides to frame your face or braid your fringe up – it’s your choice! Third day hair is greasy, textured, and is starting to clump together. Since the dirt and grease can transfer to your face and cause breakouts, it’s a good idea to put it up and away from your face. Chun Li buns (a.k.a. pigtail buns) are so in now – it’s the perfect combo of cute and edgy. But don’t take it from us, take it from Kendall Jenner. Split your hair down the middle and gather each side into a high ponytail. Scrunch up your hair and tie it down with a hair band. Leave some strands sticking out for that messy I-did-my-hair-in-a-rush-but-it’s-still-cool look. …and restart! Since you would’ve washed your hair the night before or this morning, you’ll have 1st day hair again. Since you’ve had 3 days of messy curls, try a sleeker blowout for the next 3 days because variety is the spice of hair. Flip your head over and roughly dry the roots to inject volume at the base. Then, using a paddle brush or round brush, glide down the underside of your hair while pointing the blow dryer down your hair. If your blowout is starting to look a little flat, give yourself a deeper side part for instant volume! 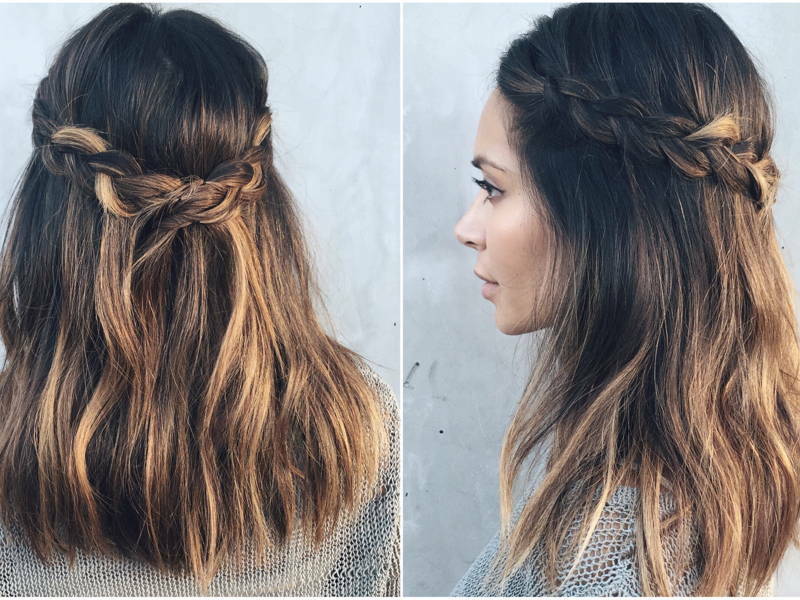 Deep side part with mini braid on the other side so you’ll look camera-ready from any angle! To get Jessica Alba’s look, do a major hair part to one side. French braid the other side of your part downwards and towards the back, then pin it underneath the back of your hair. For an easier version, do a regular braid downwards and tie it with a small hairband. You can also do 2 parallel French braids for faux cornrow braids. Time to put up your hair, but not just in any ol’ boring ponytail. A bubble ponytail is fun and especially cool on very long hair. Gather your hair into a high ponytail and tie it with a hairband. Visually separate your hair into sections (3 or more, depending on length). Then, tie a hairband at each section. 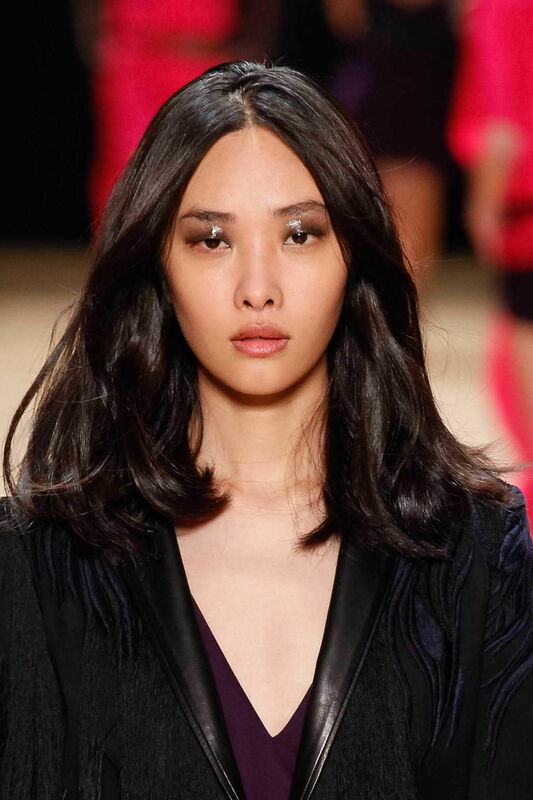 Loosen up each section by gently tugging at the hairs to “fluff” up the section for a voluminous, messy look. Otherwise, make use of that 3rd day blowout and greasy roots for a sleek low ponytail. Part your hair in the centre or to the side, and comb it back neatly into a low ponytail. Grab approx. 1-inch chunk of hair from the bottom of your hairline and leave it out of the ponytail. Tie your ponytail with a hair band. Wrap the strip of hair repeatedly around the hair band to conceal the band. Pin the hair down. You’ve come to the end of your holiday, and much like you, your hair is refreshed – from a wash.
Rock a fresh look with the ultimate air dried hair. Spritz some hair texturiser or sea salt spray throughout your hair and scrunch it with your hands for a textured look. Leave to air dry. 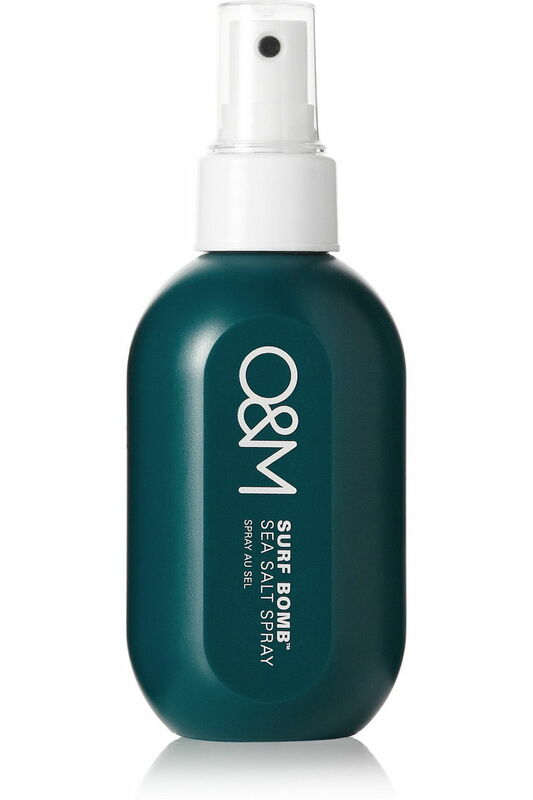 ORIGINAL & MINERAL Surf Bomb Sea Salt Spray available at Sephora and Zalora. Apply a frizz-control or hair smoothening product throughout the lengths of your damp hair. Comb with a wide-tooth comb to distribute.